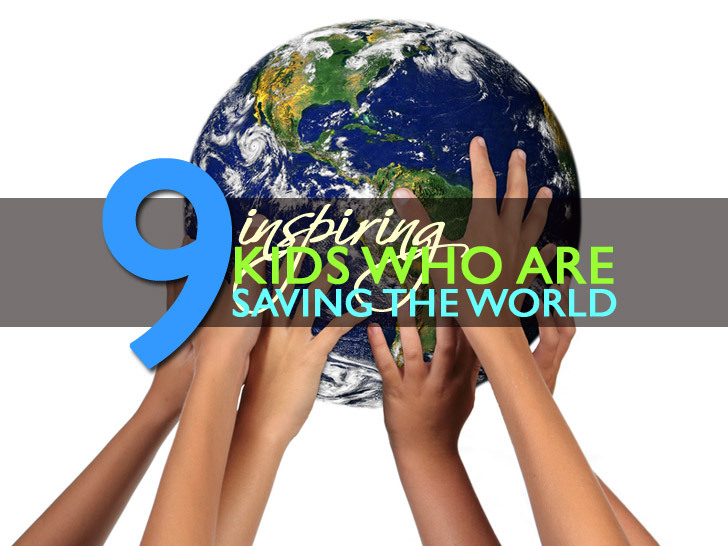 9 Inspiring Kids Who are Saving the World! Earth Day is fast approaching, and we're highlighting some phenomenal kids who have done astonishing things to help the planet. These young inventors and innovators are an inspiring example for people of every age. They're truly making the world a better place for all of us with their ingenuity and heartfelt missions. From engineering urine powered generators and creating a philanthropic recycling business, to keeping lions at bay with LED lights and halting deforestation, these kids are thinking well beyond the 3 R's (reduce, reuse, recycle)! Learn more about these amazing kids by reading their stories with your own children this Earth Day, and encourage your little ones to pursue their dreams as well. 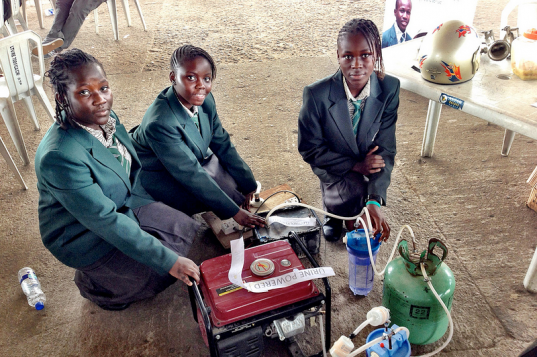 Four African girls, ages 14 and 15, created a generator that works by converting urine to hydrogen. Duro-Aina Adebola, Akindele Abiola, Faleke Oluwatoyin and Bello Eniola submitted their invention to Maker Faire Africa, an annual African convention for inventors and creative thinkers. The girls generator uses 1 liter of urine to produce 6 hours of electricity! At age 12, Richard Turere found a way to deter lions from eating livestock by using LED lights. Richard set out on his mission to keep lions from attacking livestock and humans for a Global Talent Search submission. After two failed attempts, he successfully created a system that was run by an old car battery, a bunch of lights, and part of a motor car that makes the lights blink to keep the lions at bay. Richard’s invention is now used all across Kenya, and it awarded him a scholarship into the best college in Kenya where he now studies. 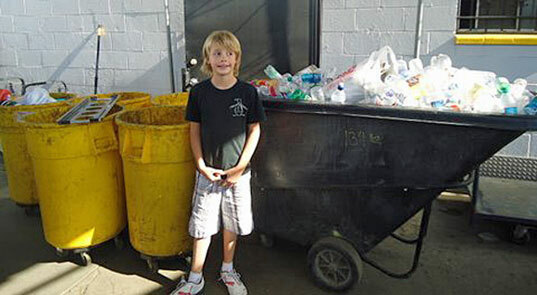 10 year old entrepreneur Vanis Buckholz donates 25% of the earnings he makes from the recycling business he founded to local charity, Project Hope Alliance. After learning about Earth Day three years ago, Vanis began collecting recyclables around the house and from neighbors. Shortly after, he started his company My ReCycler and earns up to $200 per truckload every few weeks. As his business grew, his parents taught him about charities and he chose to help over 28,000 homeless children in Orange County through Project Hope. Sometimes it only takes one courageous person to speak up and ask for change, and that is exactly what 12 year-old Canadian Olivia Peters did. 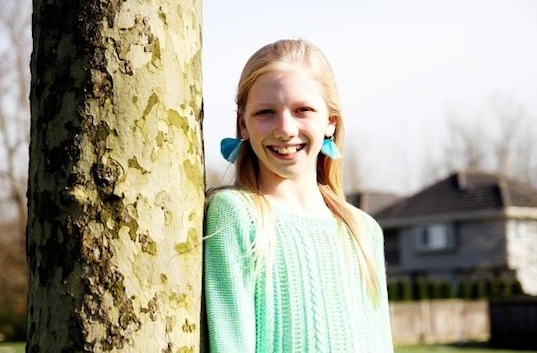 After noticing many local trees were painted and tagged to be cut down for housing, Olivia wrote a letter to Surrey Mayor Dianne Watts asking her to save the forest at Bose Farms. After reading her letter, city leaders rejected the housing development’s first plan and saved part of the Bose Farms forest. Due to financial hardships, Detroit hasn’t been able to maintain their parks. 9 year-old Joshua Smith became frustrated with not being able to play at his local park due to the uncut grass and trash, so he took matters into his own hands. Joshua started an organic lemonade stand to help raise money to save Detroit’s city parks. He set up a stand selling organic lemonade, organic popcorn, fruit punch, and water, and he earned over $3,000 that he gave to the city. Not only did Joshua earn money for the parks, he also inspired other volunteers to help mow the grass at the parks and pick up trash. Over the past 4 years, “Eco” Erek Hansen has been collecting used jeans and shoes and recycling them by giving them to organizations like USAgain and Cotton From Blue to Green. 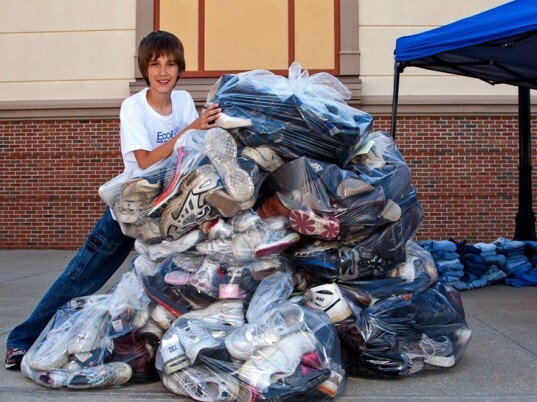 So far Erek has collected over 14,000 items of denim and over 7,000 pairs of shoes to be repurposed into new items or reused by the underprivileged. The 12 year-old Ohio boy says he loves to recycle and has even set up the Eco Erek website to accept donations. This is awesome!! Thank you so much for sharing! We need to hear more positive stories about kids- these are truly inspirational examples. I have one small suggestion- instead of using the general term "African girls" in the first example, what if you wrote their countries of origin (as in the Canadian example). Africa is such an enormous and diverse continent, sometimes we lump countries together when we wouldn't do that with Europe or North America:). 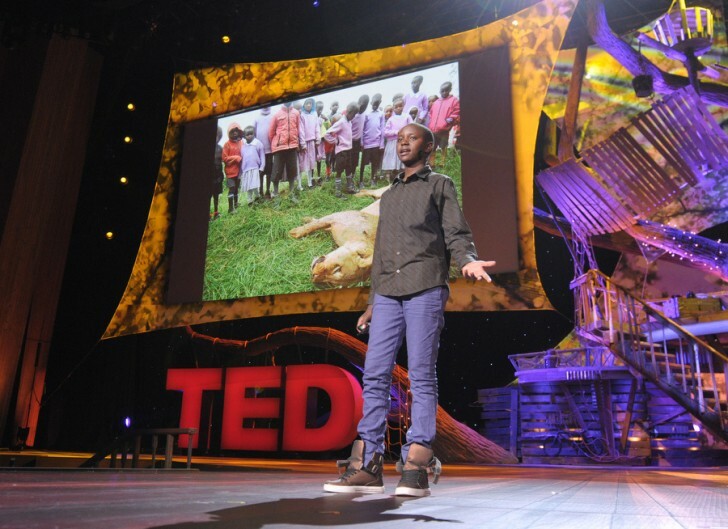 At age 12, Richard Turere found a way to deter lions from eating livestock by using LED lights. Richard set out on his mission to keep lions from attacking livestock and humans for a Global Talent Search submission. After two failed attempts, he successfully created a system that was run by an old car battery, a bunch of lights, and part of a motor car that makes the lights blink to keep the lions at bay. Richard's invention is now used all across Kenya, and it awarded him a scholarship into the best college in Kenya where he now studies. Sometimes it only takes one courageous person to speak up and ask for change, and that is exactly what 12 year-old Canadian Olivia Peters did. After noticing many local trees were painted and tagged to be cut down for housing, Olivia wrote a letter to Surrey Mayor Dianne Watts asking her to save the forest at Bose Farms. After reading her letter, city leaders rejected the housing development's first plan and saved part of the Bose Farms forest. Joshua Smith Raises $3,000 To Save Detroit's Parks by Selling Lemonade! Due to financial hardships, Detroit hasn't been able to maintain their parks. 9 year-old Joshua Smith became frustrated with not being able to play at his local park due to the uncut grass and trash, so he took matters into his own hands. Joshua started an organic lemonade stand to help raise money to save Detroit's city parks. He set up a stand selling organic lemonade, organic popcorn, fruit punch, and water, and he earned over $3,000 that he gave to the city. Not only did Joshua earn money for the parks, he also inspired other volunteers to help mow the grass at the parks and pick up trash. For the past 4 years, "Eco" Erek Hansen has been collecting used jeans and shoes and recycling them by giving them to organizations like USAgain and Cotton From Blue to Green. So far Erek has collected over 14,000 items of denim and over 7,000 pairs of shoes to be repurposed into new items or reused by the underprivileged. The 12 year-old Ohio boy says he loves to recycle and has even set up the Eco Erek website to accept donations.